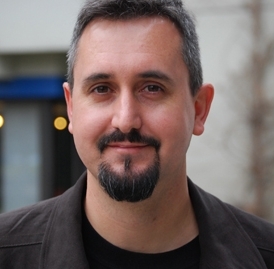 Martin Dougiamas is an acclaimed computer scientist and educator who has been successfully changing the face of distance education. He is the creator of Moodle (Modular Object-Oriented Dynamic Learning Environment) a free-source e-learning software platform which is also known as VLE or Virtual learning Environment. According to the website of Moodle, as of April 2012, it had 66,387 registered sites from 216 countries that served over 58 million users in 6.2 million courses. The idea of initiating something like Moodle stemmed from his very own life and the early years’ struggles. Martin Dougiamas was born in August 1969 in Perth, Australia, but he spent all his early years in the desert of Western Australia with his parents. He lived in a small settlement of native Australians and was the only non-aboriginal child in the community. When he grew up, he was enrolled at Kalgoorlie School of the Air, which was over a thousand kilometers away from him home. He had to rely on distance learning and the only time he would attend the school when when it would be an annual carnival. According to Dougiamas, not seeing his classmates on a regular basis was a painful experience but he never complained and kept focusing on studies and lending his helping hands to his parents. He would communicate with his school and classmates via shortwave radio and rely on an airplane which would drop off the necessary paperwork in every few weeks. At the age 10, he started reading books on wireless technologies and Internet. By the time he was 15, he’d spend hours on experimenting with new things especially Internet and web applications. After graduating from school, at the age 17, Dougiamas took up a job at Curtin University and helped the faculty and other staff learn and use the early web applications. It was here he realized how difficult it was for a not-so-tech-savvy person to utilize online technology for teaching and learning. 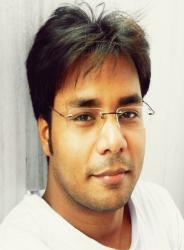 At first, he developed an online course and kept experimenting and improving it over the years. When Curtin University installed WebCT, an early learning management system and asked him to improve its functionality, Dougiamas experienced several restrictions due to the software’s intellectual property rights. Frustrated by the rigidity of the software developing companies, he resolved to develop an open-source solution and started developing some online tools that eventually become Moodle. Written in PHP, Moodle is considered one of the best open source ‘Course Management System’ and the world´s most sought after Learning Management System. According to media reports, Dougiamas was offered $20 million for the company but he rejected it saying it would damage the trust of the community and hamper the growth of the Moodle development projects. Moodle is Headquartered at Perth, Western Australia and Dougiamas continues to contribute to it as a lead developer.